Robust infrastructure that will empower your community with the ability to upload, and share downloads on your site! Moderate and approve user uploads, complete monitoring file downloads, and full documents management before they get published. Users can view their public profiles including all posted uploads, control file downloads, documents management, and files shared through their own dashboard. Restrict access to specified file downloads by protecting them with a unique password which is generated by the file management plugin. Check out our WordPress File Manager Plugin Now ! This exampel shows a Microsoft Document with a preview option using Goolge viewer. Empower your WordPress Download Manager with MicroPayment support. Allow your users to pay for downloading or grant them virtual money for uploading. You can integrate MicroPayment with a real payment gateway like PayPal or use the EDD plugin and choose from more than 40 payment gateways. I have had an amazing experience so far with CM Download Manager. I have a blog on WordPress and it was getting exhausting running it by myself. CM Download Manager has given me the ability to have multiple users log in and they are able to access all of the different sets of documents that I have laid out to each one of them. It’s nice that I can set up individual files for each one and that each of them is able to access their own specific files. My WordPress website was driving me crazy. I am not a computer tech and had difficult time to manage my website. 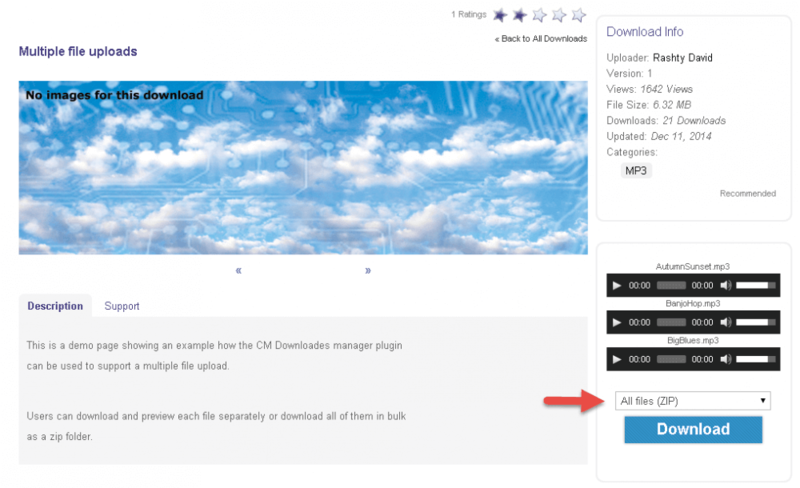 I was introduced to use CM Download Manager by my website builder, and i absolutely love it! It has a simple and easy to work with interface that allows my users to login, and I am also able to assign different access abilities to each of them. Now I am no longer the only one doing the work. At the same time, it helps us work even closer together and more efficiently. I have a WordPress website and needed a way to easily manage downloads and allow other people to access different documents and CM Download Manager does that. It is quick and easy to download and getting it set up and started didn’t take much time. I love that it gives me the downloads in a directory listing so it is easy to manage. I am able to see who downloads documents and how many times documents have been downloaded. CM Download Manager has helped my site become more organized and has made it easier for me to run it smoothly. Sure. Only users who need to upload files or users who want to post a support question in the downloads dedicated forum need to log in. All other users can download files without logging in. You can define access permission for each download or for all downloads in the plugin settings. Access permissions can limit which download is visible for which user. Yes. In the plugin setting you have a tab for custom css where downloads landing pages as well as the general downloads directory can be customized to suit your theme. This will enable you to change css on the fly. You can also rewrite css in your theme css using the same classes and making sure it loads after the plugin css. The last option is to edit the plugin css located in /view/resources but this is not recommended since each time we update the plugin you will need to review your changes. Absolutely! If you want to allow users to upload multiple files to your downloads directory, for example a bunch of software files or musical tracks, zip folders will provide the ultimate solution. They will save you and your users both time and storage space. Zip folders can easily be created on your computer and then uploaded and downloaded either individually or in bulk. Performing the CM Downloads Manager and BuddyPress integration allows your users to quickly login to your file sharing directory using their BuddyPress profile. This is recommended for site that use the BuddyPress forum system and want to add a file sharing option. The first thing to do is to adjust the plugin to support logged in users only. Then, under user groups, you can create different groups and specify which users belong in which group. Next, when creating a new file for download, you can assign each file to a specific user group. Users in that group will be able to view and download the file, while all other users will be denied access.